All three readings and the psalm today express the same idea: that God protects and cares for the outcasts, the helpless in society. This is a basic premise of Christianity and has been since Jesus walked the earth. Jesus showed us that care in his healings of the blind, the plagued, the lepers, and the deaf, which we read about today. Particularly in his time, the sicknesses we just referred to were seen as punishments by God for sin, so the people who suffered from them multiplied their woes by being outcasts as well. From early in the Bible, however, we begin to see references to how God is particularly attracted to helping the helpless in society, those who Isaiah says are of a “fearful heart” because of their plight. Don’t be fearful, Isaiah says. God will protect you, will avenge you and punish the people who treat you badly and do not help you. There will be a “terrible recompense”, he says. After this “recompense”, this repayment, God will open the eyes of the blind, unstop the ears of the deaf, strengthen the limbs of the paralyzed, and give voice to the mute person. Why is God so attracted to the needy? Often, it is because they are the ones with the strongest faith. Think of the times that you have needed something and gone to God, when yourself or someone close to you was seriously ill, and you went to God. It is that kind of time that brings out our faith in God. Secondly, it is a simple matter of justice. Those who suffer in this life will have that turned around in the next. As the psalm says: “the Lord executes justice for the oppressed.” It is like that folk cliché: ‘what comes around, goes around’. The same psalm from today talks about how God will help the alien (the stranger), the orphan and the widow. St. James, writing late in the first century, reminds the Christians that God has chosen the poor in the world. They are the ones who are rich in faith, and they will inherit the kingdom of heaven. That is why we are not to cater to the rich or show favoritism to those well-off. Unfortunately, we could give the same message to the many churches today that are so into collection of money, that they do favor the rich and court them. But if we really believe in Jesus as we profess we do, then we cannot ignore the cries of the poor and needy in our society. Coming from Canada as I did, where there is universal health care, whether or not high taxes are a result, I can only think that that country is acting in a very Christian way. Yes, the rich pay more taxes to support the needy, the unemployed, the outcasts – but isn’t that what Christ would want us to do? I don’t often get political in my homilies, but this is one topic that I can only see as something every Christian needs to wrestle with his or her conscience over, and understand that we have an obligation to share our wealth, to share our good fortune with those who have no fortune, who can barely exist. The Gospel reading today is unusual in that it is one of the three healings we know about where Jesus used physical matter, mud, in this case, to bring about a miracle. Usually, his simple word was enough. There has been much conjecture about it, and I might be able to summarize the reasons he used mud. First, it may have been a return to the creation story where man was made from the mud of the earth, thus paralleling the creation story. Perhaps he used mud as one of many ways of healing to show that it wasn’t something he did and had a magic method he used, but to show through many different ways that it came from God. Lastly, it could be that the spit or saliva which was often used in Jesus time because they thought it had a healing factor inherent in it, was being used a sign that a healing was going to take place. For whatever reason, Jesus used the spittle and mud to effect the cure of the man’s hearing and speech. 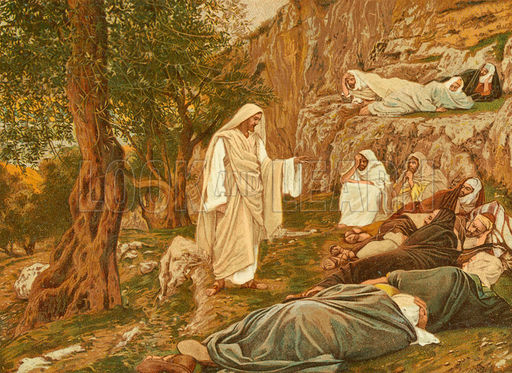 Jesus was the healer that Isaiah was prophesying, and the people began to recognize Jesus first as a healer and gradually to realize that he was more than that. 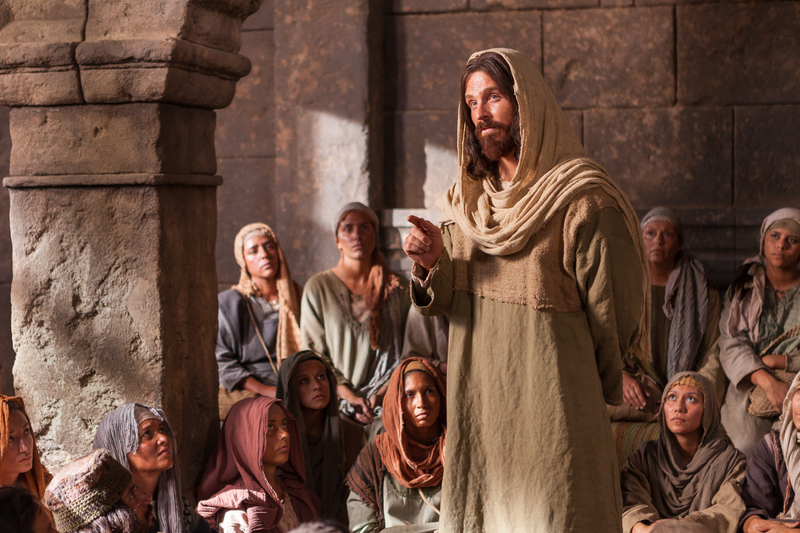 Jesus asked them – ordered them, in fact, to tell no one about the healing. Why was that? It could have been a matter of crowd control. Once every one heard what he could do, people would rush to be cured of all sorts of things and that really wasn’t what Jesus was setting out to do. It was more a by-product of his teaching. Secondly, Jesus or God the Father may have been orchestrating the time Jesus was on earth, and it was not time for him to be arrested and to die, which would have happened because of the criticisms he was making of the Pharisees and the revolutionary teachings he was proposing. Lastly, it could be because he didn’t want to be :”Jesus Christ Superstar”. Ask any celebrity how difficult it is to cope with the kind of public attention a celebrity gets. Jesus would find it difficult to hide from that, to find time to pray, to finish what he set out to do. So there were probably very good reasons for Jesus not wanting anyone outside of the observers to know. What can we do this week to follow Jesus and the gospel message? ( I know that there are a lot of social works going on in this parish, and so I am not really talking to those of you highly involved in them. But for those who may not be yet.) Obviously, try to find ways to share what you have with others. I don’t mean just financial, either. Time is a commodity which is worth a lot in our culture, especially in the Northern Virginia area. Giving of your time to help another is certainly a way to act out the Gospel message. I am going to be involved in a committee this month to help get drivers to take cancer victims to their chemo appointments, and will be telling you more about that soon. Once again, I remind you that it doesn’t have to be something very big that we give or do. Just giving or doing some thing could be a reminder for us of how we can bring about the kingdom, and to assure that we will be part of that beautiful city! And this is the Good News preached by Isaiah, David, James and Jesus today. Those who have ears to hear, let them hear. As we listen to today’s gospel, we get almost a picture of some kind of lesson in hygiene. Through the centuries, the rabbis and the pharisees had developed many types of rituals for the purpose of being cleansed and to properly present themselves in the temple. Many of these rituals they had passed on to the people as laws to live their lives. One of these numerous laws was the notion of washing hands and anything that they were going to eat. In actuality, none of these prescriptions were a part of the mosaic law, and were actually added on by men and were far from the authentic law. Christ was harsh with the Pharisee’s criticism, for they were more concerned by what was the traditions of human origin than what was the actual law and revelation of God. As an example growing up, I can remember back many years to first communion and the perception and teachings of my youth. I remember going to Mass when maybe twenty or thirty people went to communion out of a congregation of several hundred. People going to communion was so infrequent, that everyone had to be reminded of their Easter duty, which meant that everyone was obligated to receive communion at least once a year which was called their Easter Duty. . If we recall the last several weeks of John’s theology of the Eucharist, and the need for nourishment and food both physically and spiritually for our journey and for eternal life, Some where the authentic message of Jesus came to be seen differently over some centuries, and the real presence of Christ in the Eucharist led people to conclude that they were not worth to receive it, when Christ’s message was that the Eucharist is what would make us worthy. It was clearly a case where human perception and human tradition lost the authentic teaching or at least a better understanding of it. What this tells us is that we must closely look and pray and search out the Spirit to know that what is authentic comes ultimately from Christ and his Spirit who dwells within us. It is important always to avoid putting the human things before the Word and Spirit. Human laws and interpretations, while perhaps necessary, are human and finite. Christ calls for openness to the Spirit knowing truly what calls for our love and attention. Human things, thoughts, desires and other distractions can deprive us of a truly spiritual and fulfilling life. Human refinements and institutions and laws, while convenient for some reasons, are not always faithful to the Law of Christ’s love, nor quick to resolve issues with his forgiveness. History proves that following Christ can be easy, but at the same time it is challenging because it means giving up ourselves to love as he did. Life in the Spirit is hopefully what we do. Our first reading today is from the Book of Deuteronomy, one of the books ascribed to Moses and the one dealing with the end of his life and the imminent entry into the God’s Promised Land. 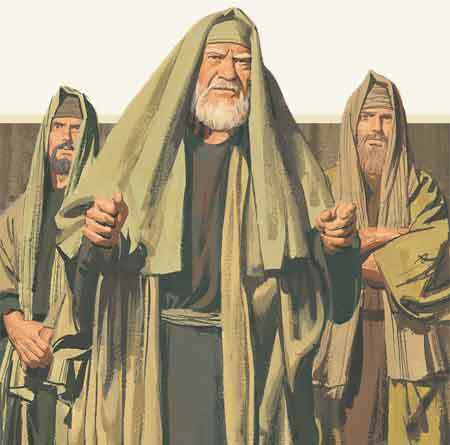 Moses and the Hebrews have been wandering through the deserts for forty years and they are about to enter their homeland, but Moses is an old man now and knows that he will not enter it with them. In this reading Moses is talking to his people and reminding them that they have messed up badly over the years, which is why the promise took 40 years too fulfill. Over and over they have forgotten the one true God and the teachings of their God. In the selection we read today, Moses is being very practical with his people, and giving them good political advice as well as spiritual. In the spiritual or moral dimension, Moses is telling them to remember what God has done for them in leading them out of slavery, and that God has given them a pattern to live by with the commandments. Moses urges them to be diligent in following God’s commands to show their love and gratitude to God, first of all, but that it would also be good for them politically, to show the other nations that they are a cultured, wise nation. At this time there were not many countries that had as civilized a law as did the Hebrews. Moses says that they could be a light to other nations, and make it possible for other nations to see the immanence of Israel’s God – the fact that God is with them, hears them, and answers them. The Torah, then – or the teachings of God given to Moses – makes the Hebrews stand out to other nations, achieving two great purposes – serving God and presenting the one God to other nations. The teachings (which we translate as Laws) that Moses gave the Hebrews were the Ten Commandments certainly, but also other teachings that separated the Hebrews or set them apart from other nations. Many of the Laws, especially those of purity came about as comments on the Law, just as today many of the the ideas in the United States Constitution have been ruled on and more laws and amendments have been created over the years. When Jesus attacks the scribes and Pharisees because they say he is not following these created laws of purity, many of these were traditions and not always Biblically based. Some of them came about for hygienic purposes or to suit the needs of the priests or ruling bodies. When Jesus was accused of breaking these so-called laws, he reminds them that they are merely human traditions, and that more importance is being placed on these than on the actual teaching words of God. So Jesus uses this as a way to explain that God created everything as good and that it is what we do with God’s creation is what creates something bad. Evil comes from inside a person. And this is what the original commandments or teachings of God was really about. When we look at the list of things that Christ calls evil coming from the heart of man, we see murder (5th commandment), fornication and licentiousness (6th Commandment), theft (7th commandment), deceit and slander (9th commandment), avarice and envy (10th commandment), with pride, folly and wickedness involved in all ten of them. 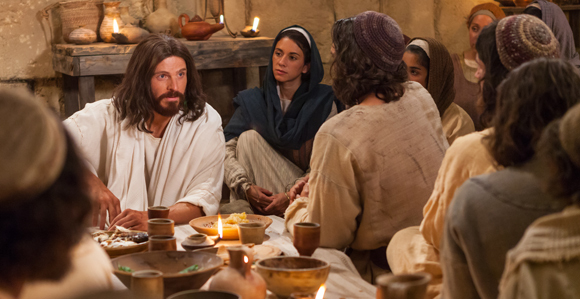 Jesus was getting back to the basics by reminding them that God’s commandments are more important than the traditions that had become the sole concern of the Pharisees of his day. I think we do the same thing today when we take individual moral problems like abortion, homosexuality, birth-control as ‘the’ most important issues in our religion. We tend to have pet concerns that override the really important issues of loving God and neighbor and sharing with the poor. That isn’t to say they are not at all important or connected – they certainly are – especially abortion – but we enlarge them to be more important issues, honoring God with our lips, as Jesus says, but ignoring the heart. The letter of James today really summarizes what I have been trying to say when he defines a “pure and undefiled” religion in a way that seems very simple and narrow. Purity of religion is caring for others, loving your neighbor, especially those who can’t care for themselves like widows and orphans, and not following the ways, the traditions of the ungodly world. James also adds that we need not to just listen to God’s word, but we have to follow through and do it. So how can we be doers of the word this week? First of all let us focus on the two great commandments this week. Find a way to let God know of your love, spend some time with him, talk with him. He is both immanent and transcendent. We acknowledge his greatness and vastness, God he also became one of us and so we can talk with, complain to, beg, and thank God. Then, find a way to focus on our neighbors in need. Perhaps donate time or food to a mission or food bank, or donate to a cause that helps others. Bring extra peanut butter in for next Sunday’s peanut butter drive. Do “something” to remind yourself of the Word of God presented to us this week. And that will be really Good News for God and for the recipients of our love this week. Friends, although the readings seem to be harsh, the message I get from them is that Jesus shows us that God deals with us compassionately and we should be dealing compassionately with others. God invites us to be in relationship with God. Our relationship with God can be seen through so many different lights. God always takes the opportunity to reach out to us speaking to us through people, situations or events. God relentlessly seeks us. It is not God, for God’s sake that we pray and seek God, but it is for our sake, for our salvation that we pray to God. We pray to God by any of the many different paths that bring us to the Light. God yearns for us to be part of God’s creation, as a parent wishes to be involved with their child. The Creator of course leaves us with free will. The Great Source of all Being, the lover of the living. Here is a story that was told to me by my First Testament studies professor. He shared that there was a Rabbi that was talking to God. 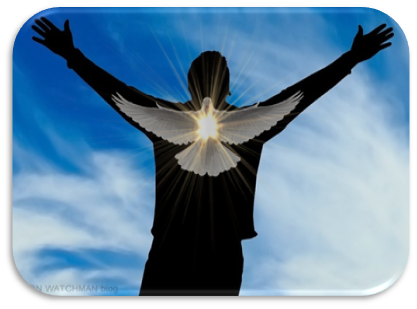 The Rabbi asked God, “God do you pray?” God responded that “…of course God prays.” … “I pray that my need for mercy is outweighed by my need for justice.” Sisters and brothers let us deal with each other mercifully, truly living the kingdom now and not later. In many ways, if we look at Christian art and how it depicts Jesus, we see a very idealistic and westernized Jesus in most of the art. What we forget is that he didn’t have his own home and he traveled from town to town making Copernican a place He went most often. Sleeping out under the stars was probably not uncommon for he and the twelve. As a group of men, they probably were rough looking and a group that could take care of themselves. Jesus became known for being outspoken and for performing signs. His preaching and message were different and presented differently than by the teachers of the law. He taught with authority that was hard to fathom for the average person. He appeared and spoke in a prophet like way, but he left the choice of following and belief up to the individual. So as we finish the bread of life section today, we find the crowd and at the same time the people of John’s time of writing the gospel perplexed and questioning the whole idea of the bread from heaven and the eating and drinking the flesh and blood in the sacrificial offering of the cross. How can we eat his flesh? 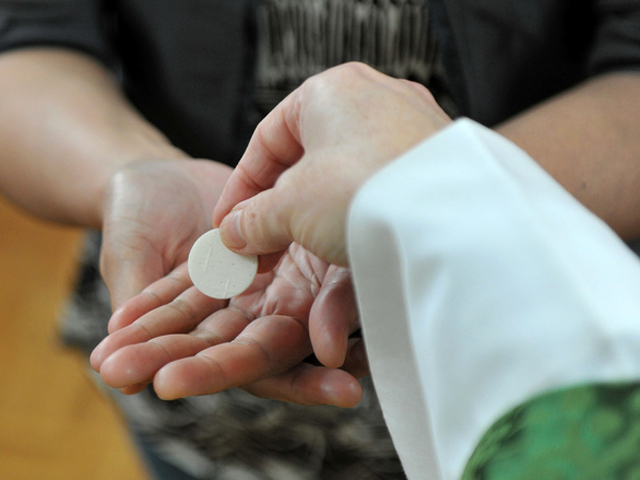 The question or belief in the Eucharist is a faith question that all deal with one time or another. Clearly Christ said this is my body and blood, The how and the why is simply that it is for us for our journey here and for life to come. In life, we do not question love and someone’s looking out for us, so why should we question or doubt what he has done and continues to do. Yet, in today’s gospel, we see that many walked away, many who could not open their hearts to the word and the embrace of God’s love, either through selfishness, or because they shut themselves within themselves, In his love, Jesus let them go, free to choose, free to believe, free to go where their choices took them. No harsh words or condemnation, but simply he let them go, always ready to welcome them again. Dear friends, we see that Jesus shows us the example that blessed is the one who lives without expectation, for they won’t be disappointed. We see this so much in the secular world. Even in my place of employment, I hear coworkers say that they should be paid more comparing themselves with workers of equal status who they feel have less work obligations then they do. Instead of being so jealous or resentful, we should rejoice in the fact, that yes our neighbor has been granted something equal or better than us. This reinforces Gods unconditional love for all of us and helps us to be open for the many blessings that are waiting for us. This is what makes us children of the Kingdom of God that is here and now. Dear friends, God speaks to us over and over again through people or situations. God wishes to give us God’s peace. God’s peace surpasses all understanding beyond our own knowledge. Peace comes with letting go of our idea of what true peace is. It is within. When we let all the walls down and listen to the small voice within, peace gently enters our heart. If we are truly poor in spirit, worldly possessions will not faze us. We will be able to share everything we have without feeling we need those things. If we place all our hope in material things then we will never understand about the kingdom of heaven. It is easy to say, but letting go of our possessions is difficult for most people because it is a false security. Holding on to things, people, places, ideas etc, prevent us from truly being poor in spirit. When Jesus was talking about the rich person’s difficulty attaining heaven, he was not saying we couldn’t have things, he was saying that if we let those possessions rule our life; they would block us from having true peace. So let us open our hearts and free ourselves of all that prevents us from loving and sharing.